Chelsea Shiels, a 27-year-old Melbourne-based florist, had been making flower crowns until she stumbled upon the idea of seashell crowns… “I’ve always wanted to be Ariel, under the sea. I’m a real beach bum. That was where my obsession with the sea and shells came from”. For a couple years, Shiels kept the mermaid crowns a private hobby, but when the mermaid trend started to kick in, her confidence grew. Just last year the 27-year-old finally revealed her dazzling mermaid crowns and the world loves them! From festivals to themed parties to photo shoots – they’re the perfect accessory to make you feel like a true mermaid wherever you are! 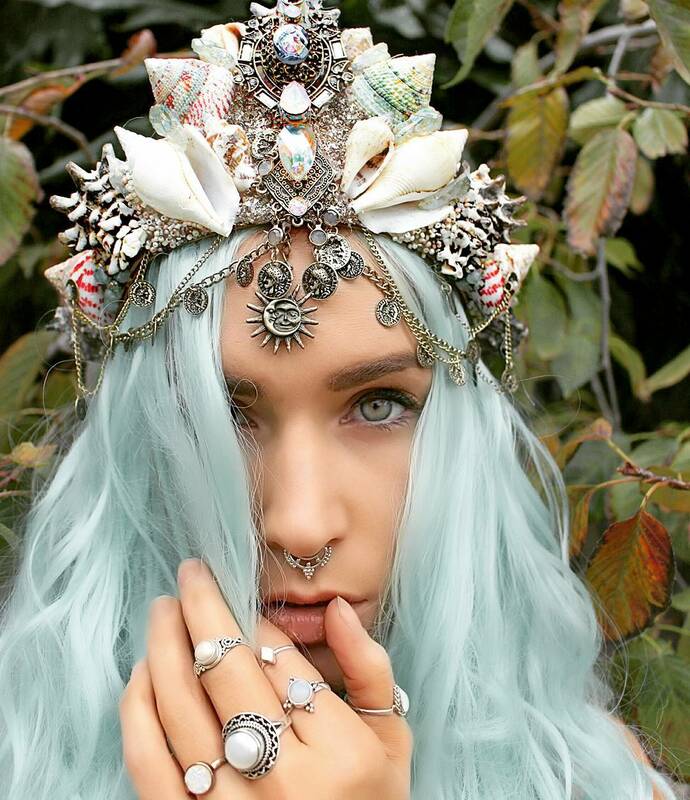 You can buy these one-of-a-kind crowns from her Etsy shop.